The 2018 iteration of the terrazzo look sees a wide range of interior products decorated in a terrazzo style, from neutral shades of white, grey, and black to bolder brights. From wallpaper and worktops to clocks and planters, there’s nothing that can’t be livened up with a splash of terrazzo. 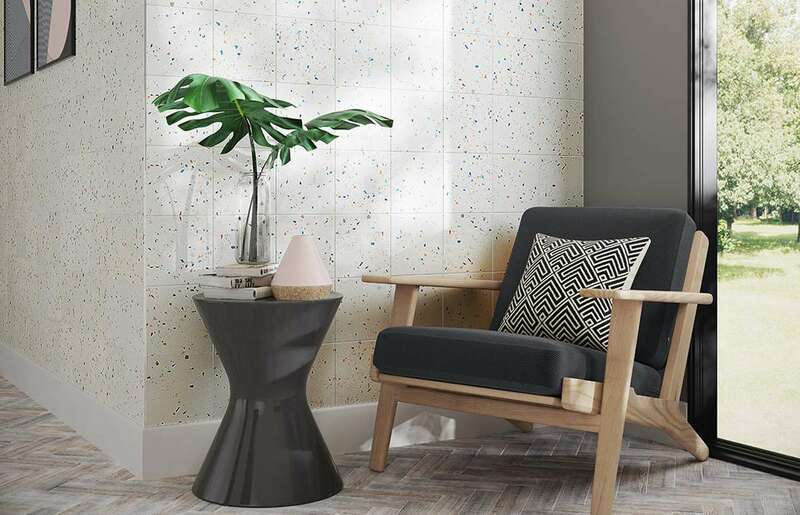 Verona Crafted Confetti glazed porcelain wall and floor tiles are now available at Foxwood and are perfect for creating on-trend splashbacks or feature floors, featuring an off-white matt background and flecks of colour with a subtle lustre.